Ahead of the Shavuot holiday. 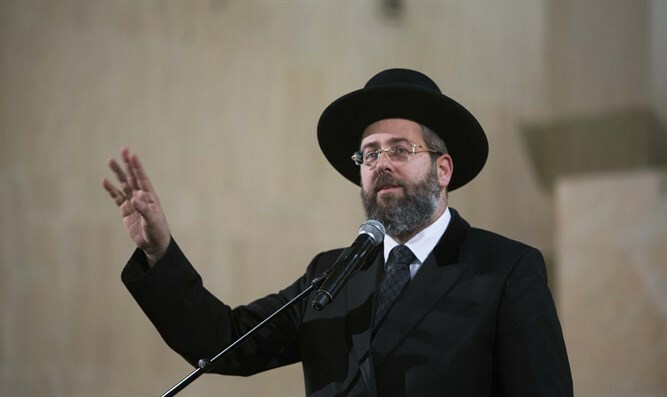 which starts Tuesday night, Ashkenazi Chief Rabbi of Israel David Lau had a special message to convey to the Jewish people. This is a nation that bequeaths the values contained in the Ten Commandments, which they will read in the synagogue on the morning of the Shavuot holiday. This is a nation that expresses lofty values contained in the Torah. And this is our opportunity as parents - let us sit with our children, let us take advantage of the opportunity to study with them, read with them, and to learn again those lofty values which express that we are, indeed, the People of the Book - the nation of Israel. So - we will enjoy the cheesecakes [customary on Shavuot], but that is not the essence of the holiday. The main aspect of the holiday is to sit with the children, to learn, and to remember - the Torah belongs to all of us.